Fr Alexander Schmemann in his essay “What Is the Parish?” makes what he characterizes as two shocking assertions. Fr Alexander Schmemann and Alexander Solzhenitsyn. All of this, he says, is a result of Orthodox Christians capitulation to secularism. Recent sociological studies in the growth (or not) of Christianity both in the US and worldwide, I think give us reason to doubt Schmemann’s analysis of the Church in America. For example, Rodney Stark and Roger Finke (The Churching of America 1776-2005: Winners and Losers in Our Religious Economy, 2nd edition) have argued the churches that have failed to thrive in the American free market of ideas are established churches. It is likely not secularism as such that has led to what Schmemann calls the parish’s “loss of religious seriousness” but rather the Orthodox Church’s loss of state support when its faithful came to America. Living and developing as a beneficiary of the state fosters an inability—and even unwillingness—to compete in the free marketplace of ideas. Like other established churches, the history of Orthodox Church put it at a disadvantage in America. Ironically, freedom and prosperity have harmed the parish. Or maybe it’s more accurate to say, the parish needs to learn how to use the blessings of America to further the Gospel. Schmemann makes a mistake here common to intellectuals. 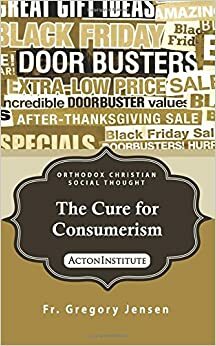 His scorn for democracy and the free market (economic as well as intellectual) leads him to shift responsibility for the Church failure from Orthodox Christians to American culture. Doing so, however, he overlooks the long history, of prophetic Christian involvement in American. To be sure, this witness is often less than perfect. But as Stark and Finke, argue, not all Christian communities succumb to the temptations inherent in the Novus ordo seclorum. If in fact, as Schmemann argues, the parish “by standards and principles, which, when applied to an individual, are condemned outright by Christianity as immoral: pride, gain, selfishness, and self-affirmation” we need to first look inward and examine our own consciences and practices before we look outward to the social conditions that may have contributed to this state of affairs. To his credit, Schmemann does look inward. He criticizes “the constant preaching in terms of the ‘glory’ of Orthodoxy.” He is correct when he says that this “is a rather ambiguous substitute for the glory that according to the Gospel is due to God alone.” If in fact, the parish “has replaced the Church and, by the same token, has become a completely secular organization” it isn’t simply because of secularism but a failure to preach the Gospel. It reflects a situation in which we make good Orthodox who are not (necessarily) good Christians in the sense of being disciples of Jesus Christ. But this raises, or should raise, a question. If the parish serves the purpose of the Church, what is the purpose of the Church? What is that “common religious ideal” that unites us as Orthodox Christians? In simplest terms, we are to “Go into all the world and preach the gospel to all creation” (Mark 16: 15, NIV), making “disciples of all nations, baptizing them in the name of the Father and of the Son and of the Holy Spirit and teaching them to obey everything” Jesus has commanded, confident that our Lord is with us “always, to the very end of the age” (Matthew 28: 19-20, NIV). With all due respect to Schmemann, his argument is that it is the failure to do these things, rather than secularism as such, that has led to the parish’s lack of religious seriousness. In what follows, we’ll look briefly at each.